When running accessories on a UTV most people will put them on a switch so they can save the battery when not in use. DragonFire has developed a line of switches that are perfect for off road abuse, and they look cool too! 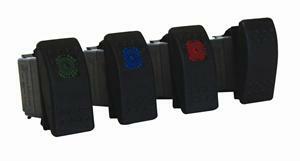 Several different styles to choose from and a common size make these switches the best possible fit for your UTV.